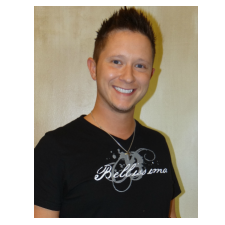 At Bellissima, our staff of professional hairstylists help you find the look that is right for your personality and lifestyle. We are passionate about our work, so we continue our training to master the latest techniques in hairstyling to give you elegant, gorgeous, fun styles to suit your individuality. Because we want you to look great even days after you left our hair salon, we provide you with the tips and tricks to help you maintain your style at home. 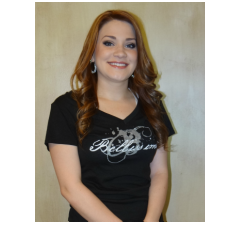 Morgan is a graduate of South Louisiana Bueaty College and has been a hairstylist with Bellisssima for over 2 years. She loves the art of cosmetology and enjoys making people feel more beautiful. She has continued her education by attending classes with Aveda, and Lanza which are Bellissima&apos;s main product lines; as well as attending several hair shows and classes focused on hair cutting, color and foil techniques, updos, and makeup. She offers services for all your Hair care needs as well as Manicures, Pedicures, Waxing, and Makeup. In addition to being a Cosmetologist, Morgan is a dance instructor at Benita&apos;s Dance Studio in Houma, and has a great passion for dance as well as hair! Megan has been with Bellissima for 2 years. She has also been doing hair for over 3 years. Graduating from the Omega Institute of Cosmetology. Added to all of the services she does, which include: Hair Cutting (women and men), Hair Styling, Hair Coloring, Hair Highlighting (Foil Placement), Mani&apos;s and Pedi&apos;s, Facial Waxing, and also Makeup application. She will guarantee a 5 minute stress reliving scalp massage with relaxing music. All your cares will go down the drain. With education on Paul Mitchel products, Aveda Products, and Lanza Products. As well as TIGI Makeup Products. She stays updated on all the latest trends and attends hair shows so that she can give you the look you want. During Megan&apos;s downtime, her passion is spending time with friends and family. If for some reason she wouldn&apos;t be at work, she is spending time with her loving niece which she adores more than anything. Megan enjoys treating all her clients like family where they receive great services and attention. 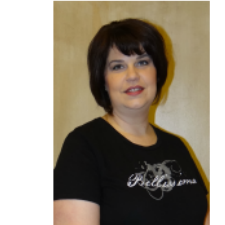 Rebecca has been practicing the art of cosmetology for over 14 years. She is a graduate of Ponca City Beauty Academy located in Ponca City, Oklahoma. Went on to continue her education by taking a wide variety of classes starting with Back to Basics cutting program at Toni and Guy Academy in Dallas, TX. Rebecca has taken her education to even a higher level when she began her journey in an Elite Aveda Concept Salon in Oklahoma City. She has completed the Aveda Color Education Certification class in Houston, TX. Rebecca has currently relocated to the Houma area to be with her family. 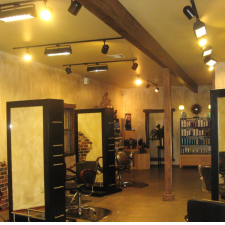 She is well grounded in hair cutting, artistic color, color correction, personal waxing, manicures, and pedicures. She loves the art of making people feel and look their best!